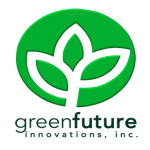 Adopt-A-School Program | Green Future Innovations, Inc. It has been observed that by the start of every school year, the usual problem among parents and every household family over the Philippines is the difficulty of providing back-to-school materials for their children either entering elementary or high school. It is also observed that the teachers with the limited budget from the Department of education by way of MOOE, always have the pressing problem on how to improve the physical condition of the school, along with the difficulty of providing the office materials they needed to comply with institutional reports and instructions. The Adopt –A-School campaign is realized to augment the insufficient income of the underprivileged families surrounding the GFII plant, and to assist the teachers in the above predicament. Our campaign is intended to donate school bags and complete set of school materials (pencils, crayons, notebooks, erasers, papers, etc.) to elementary pupils for their use during and by the start of the school year. Donations also include the provision of school and office supplies for the elementary grade school teachers and for the school. Despite the tight schedule and few pressures to include policy-related constraints, the Adopt-A-School Program finally commenced last June 18 in Mallabo Elementary School and Sta. Filomena Integrated School and last June 22 at Villa Lucban Primary School. Furthermore, the said project included provision of materials for school/building repainting for Mallabo Elementary School and Sta. Filomena Integrated School and provision of materials for construction of an outdoor CR for Villa Lucban Primary School, which the schools are now on going its respective construction and repainting which we have participated as well. With its very commitment in serving the people particularly the immediate communities as part of the company’s Corporate Social Responsibility, GFII has finally jumpstarted the official blow of priority projects for the three barangays adjacent to the plant. The turnover program was attended by the elementary grade school teachers and their elementary pupils together with parents and barangay officials. Representatives from the Local Government Unit of San Mariano namely Sangguniang Bayan members Didero B. Pascual and Elmer C. Buguina were also present. District School officials also attended headed by Mr. Edward Vizcarra- District Supervisor, and Ms. Marilou V. Rosella and Ms. Merlie V. Balayan, School Principals of Bitabian Elementary School and Old San Mariano Elementary School respectively. It started with an opening prayer followed by the singing of the National Anthem being led by the elementary grade school teachers, and followed by the messages from the Sangguniang Bayan Council members and District School Officials present. The overview of the project was presented by the GFI Corporate Affairs Officer. It was explained to the beneficiaries in a capsule view the different considerations in coming up with the adopt-a-school program and other lined up projects for the community. The elementary grade school teachers were overwhelmed with the great news that their students will be given back-to-school bags and materials. They started clapping their hands uninterruptedly upon hearing the good news and were even jolted out by the bi-monthly feeding program that will be implemented by June to December. It was also emphasized to them that the said programs and projects are the response of the company to the pressing needs and concerns of the school and the barangay as well. “I hope that the Green Future Innovations Incorporated will be an instrument or a humble step to help our parents in providing the needs of every student”, said Carl John Ramos, a Grade VI elementary grade pupil of Mallabo Elementary School during the sharing of impressions coming from the pupils during the ceremony. A total number of 158 pupils of Mallabo Elementary School were given school backpacks complete with back-to-school materials inside. The school was likewise given with office supplies for every teacher’s use like boxes of yellow chalk, globes for teaching and additional learning, staplers and staple wires, Pilot markers and calculators. Also, a total number of 254 pupils from Sta. Filomena Integrated School and 48 pupils from the Villa Lucban Integrated School received the same backpacks and office supplies donation for their respective schools that concluded the a day and a half turnover program for the adopt-a-school project.